An extremely rare amphibian species, once thought to still exist only in captivity, has been rediscovered in the wild -- offering hope that there is still time enough to save them from extinction. 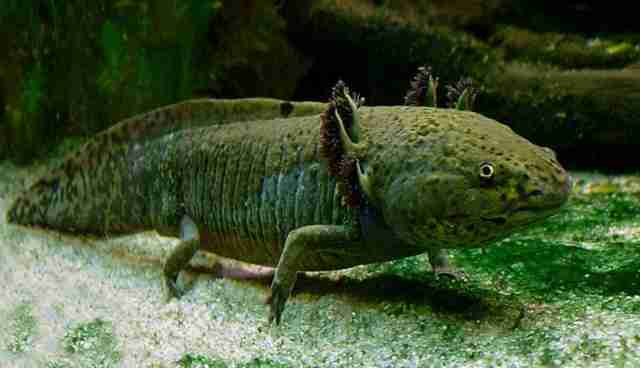 The axolotl, known colloquially as "water monsters" and "Mexican walking fish," could formerly be found in just two lakes near Mexico City. 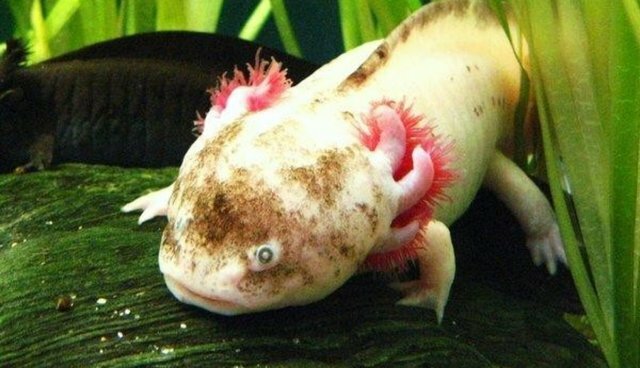 After one of the lakes was drained as a flood-control measure, and the other reduced to a fragmented network of canals, the salamender-like species quickly began to disappear -- its population plummeting from 6,000 axolotls per square kilometre in 1998, to just 100 by 2008. When a survey conducted last year failed to find any axolotl at all, researchers feared that they had finally been wiped out, with just a small number of the animals still remaining in captivity. But now, Mexican biologists say that the rare species has been spotted yet again, clinging to existence in the muddy remnants of their depleted habitat. "We weren't able to capture them...because the behaviour of the axolotl makes them very difficult to capture," said researcher Armando Tovar Garza tells the AP. "But we have had two sightings. That's important, because it tells us we still have a chance."